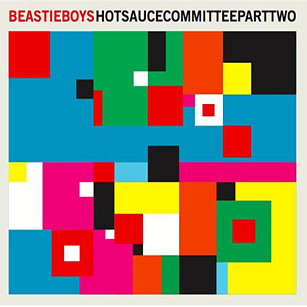 In less than three seconds, the snyth beats of "Make Some Noise," the opening track of the Beastie Boys' first proper album in seven years (the delay was largely due to member Adam Yauch's battle with cancer) prove that the middle-aged rappers can produce rhymes with as much verve and energy as they did decades ago. Hot Sauce Committee Part II mixes samples with live instruments to create that busy, distorted hip-hop sound the New York group is known for. (Those fuzzed-out vocals on "Ok" could just as easily have appeared on 1992's Check Your Head.) The Beastie Boys have always had a knack for quirky lyrics  here they reference everything from ornithology to Ted Danson  but their true talents lie in their ability to craft head-bobbing beats. This is not Maybach music; this is hip-hop done the Beastie Boys way: goofy, funny and addictive.